The PatrickStarrr Set Powder retails for $38 CAD and comes with 30 g/1.01 oz of product. It claims to be a ultra-fine translucent powder used to set makeup in place. The powder itself has a slight peachy tint to it and has somewhat of a brightening effect if used for baking. 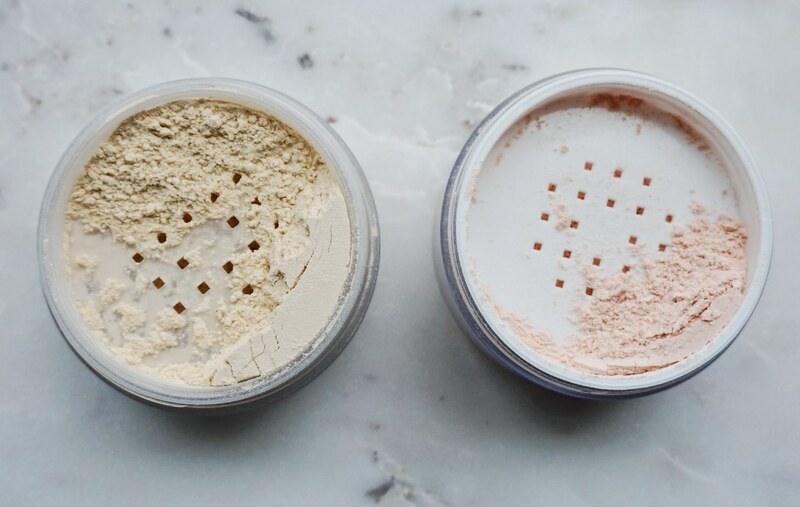 For the purpose of this review, I’ve compared the PatrickStarrr powder to my all-time favourite setting powder by Laura Mercier, which is $47 CAD and comes with the same amount of product. The Laura Mercier (LM) powder has a very pale yellow/beige tint to it while the PatrickStarrr powder is more peachy/pink. I find that the LM powder is more dense and smooth whereas the PatrickStarrr powder is more fine, but not as smooth. I don’t usually apply too much powder under my eyes, but I packed both of them on just for comparison’s sake. Because the LM powder has a dense texture, I could pick up more of it on a brush and apply it quite heavily with ease. The LM powder blurs out my pores very well and also sets my makeup nicely. I find that it also has a slight brightening effect if I apply it heavily. 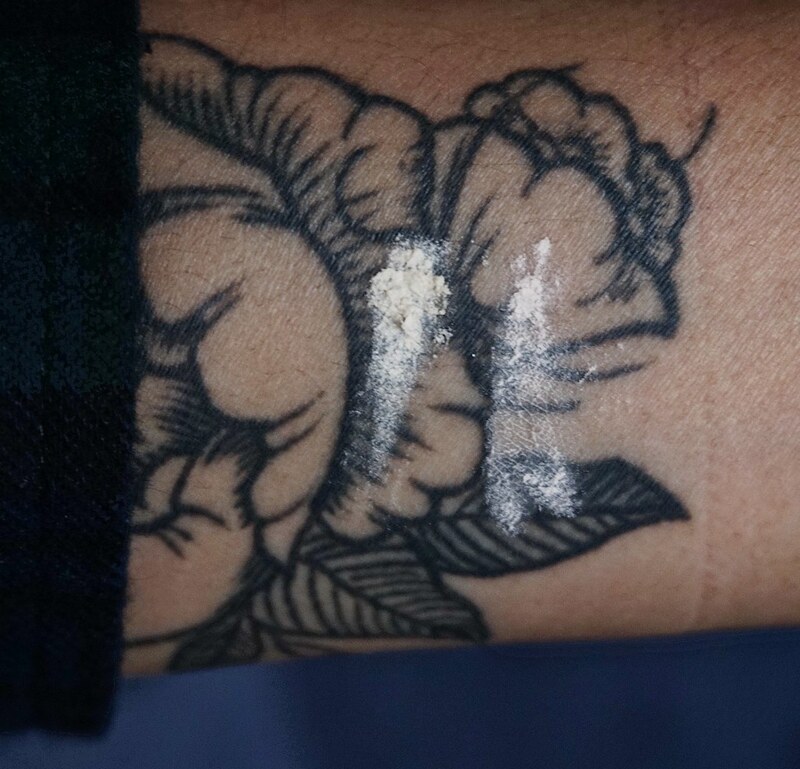 I feel like the LM powder can be slightly too drying to use during the colder months, but I like to use it anyway whenever I need to keep my makeup in place for hours at a time. The PatrickStarrr powder took a little more effort to build up powder because of it’s loose and fine texture. Because of this, I had a hard time trying to apply the powder evenly on the parts that I wanted to set. This powder brightens up the under-eye area as well, slightly more than the LM powder. It also smooths out my skin texture but it can look a bit dry and crepey if you’re not careful. Unfortunately, even when I apply this powder heavily under my eyes to bake, my concealer still creases a couple hours later. MAC x PatrickStarrr Powder applied heavily to set concealer. Left: MAC x PatrickStarrr Powder. Right: LM Setting Powder. The PatrickStarrr powder did not appear to have cause any flashback/white-cast. 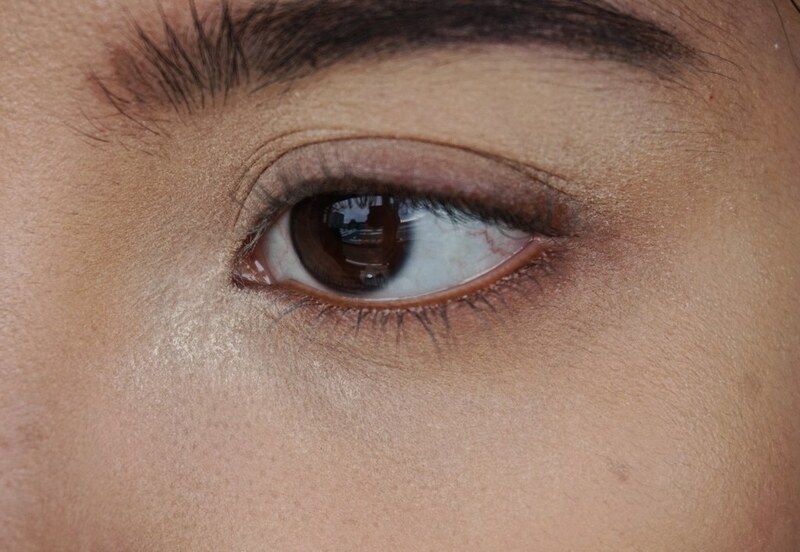 The LM powder is always highly recommended because it supposedly does not cause any flashback, however I find that it does give off a very slight white-cast on my skin if I don’t brush off all the powder properly (as you can see on my right eye under my eyebrow). 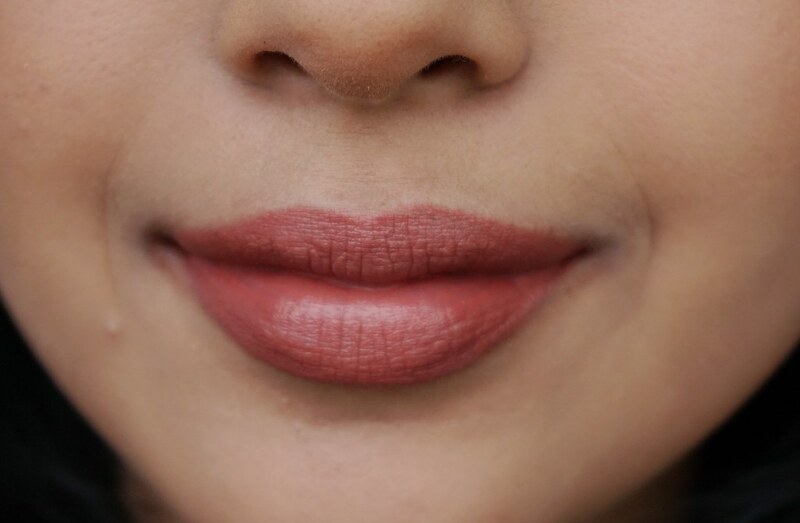 The only lipstick I picked up from the MAC x PatrickStarrr collaboration was ‘Mamastarrr’, which is a warm, muted, deeper peach/brown shade with a satin finish. I figured this would look very flattering on my skin tone and would also be appropriate for every day wear. I would’ve liked to get ‘Patrick Woo’, which is Patrick’s version of the classic ‘Ruby Woo’, however I own too many reds and never wear them. The lipstick glides on beautifully across the lips – no tugging due to its creamy texture. It is opaque enough to deliver the right amount of pigment on the lips, however I like how it isn’t so opaque that it looks like I just slathered some thick paint on my lips. It didn’t sink into the lines of my lips nor did it feather. I didn’t have to use a lip liner to make this work on my skin tone. Because it has a satin formula it does transfer, however unlike some matte lipsticks, it fades evenly as it wears so it doesn’t clump up on the inside and corners of the mouth. Overall I find it to be a very flattering shade that is easy to work with. 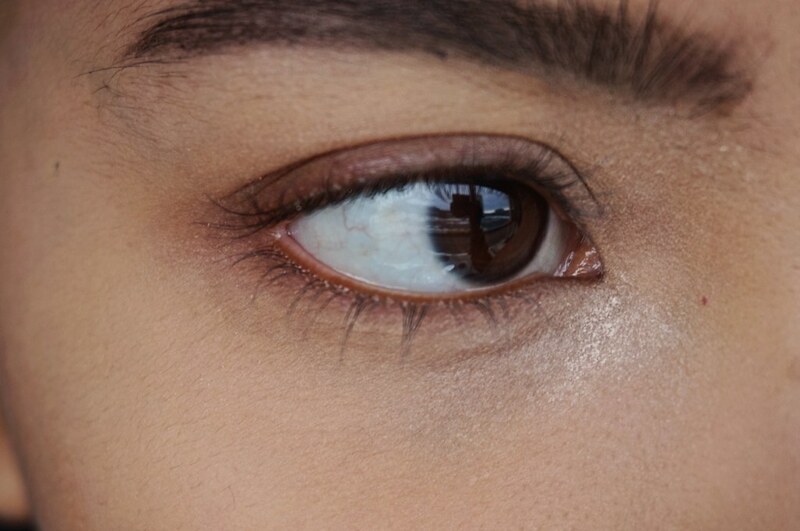 Of course, I had to compare ‘Mamastarrr’ to all the other darker nudes in my MAC collection. I thought it would be much closer in shade to ‘Taupe’, however I think that it actually is much more comparable to ‘Persistence’. However, ‘Persistence’ has a matte finish and is slightly less pink. ‘Taupe’ is more orangey and doesn’t look as opaque as ‘Mamastarrr’. ‘Whirl’ is cooler, whereas ‘Retro’ is much more vibrant and ‘Verve’ is richer, cooler and deeper. I’m pleased with the items I bought from Patrick’s collection. The LM powder is still my favourite, however the PatrickStarrr powder is a good option if you’re looking for something slightly more affordable for a mid-range product. I mean, it’s still a $40 powder, so please don’t think this is the best bang for your buck. I like it, however it’s just a little too powdery for my taste and I don’t like how it doesn’t keep my concealer in place for more than 2-3 hours. As for the lipsticks, I’m really glad that I picked up ‘Mamastarrr’. It’s a beautiful shade that is perfect for my every day look. Even though I have a few similar shades in my collection already, I like that it has a satin finish so that it doesn’t dry my lips out too much. Would I recommend the products from Patrick’s line? I’m on the fence about it. The powder looked nice on my skin, however I don’t think it is anything particularly life changing. 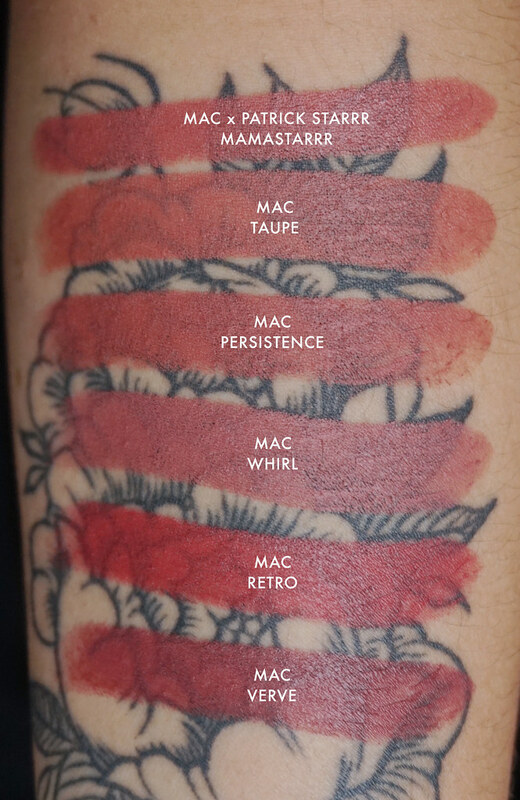 The lipstick is beautiful, but there are hundreds of similar shades out there that are probably more affordable and comes in several different textures, so it isn’t what I would call a unique product. If you want to support Patrick because you are a fan, I would say yes, go ahead and pick something up because they are good quality products. But if you’re just an average consumer looking to find the best product for a fair price, this collection isn’t one you would lose sleep over. Have you tried anything from the MAC x PatrickStarrr collection? 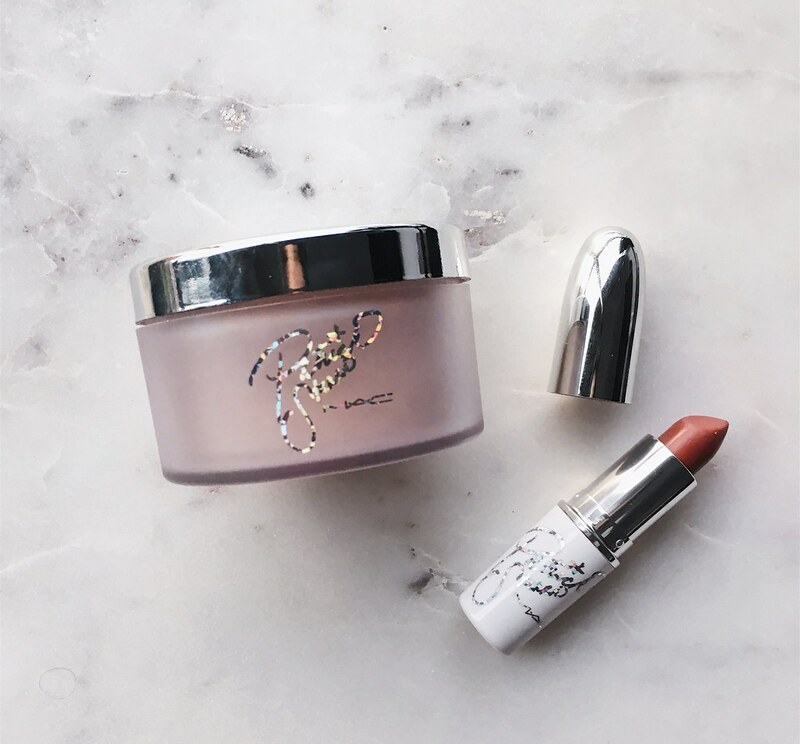 Have you ever bought anything from a collaboration with a beauty influencer? I’ve heard amazing things about the Patrick Star collection. I’ve heard the powder is the best from the launch. I wanted to try it but it’s sold out!